Everyone gets angry sometimes, but there's a difference between spitting a few curses and Hulking your fist through a door. Use these 9 techniques to keep your conscience, and your knuckles, blood free. For most men, knowing how to deal with our emotions is one of the toughest things we’ve never learned. Growing up, a lot of guys take their cue from their parents’ behavior. Many times, guys grow up modeling how their fathers expressed anger, and either end up stuffing it or exploding. 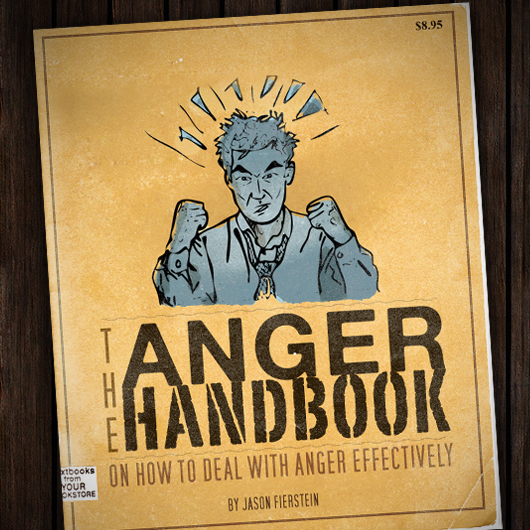 Neither of which really work, and this handbook will give you some other ideas to try in dealing with anger effectively. 1. Talk about your anger in a way that’s productive. Too many guys hold in their anger and end up hurting themselves, or withdrawing from other people, including their partners. Learn to find a middle way between stopping your anger, and exploding out from it. It may be scary, but it’s way more worthwhile than not talking about it. Talking about your anger in a productive way will lessen the secondary effects of it down the road. Usually, our inability to handle our stress can lead to anger, or sometimes the reverse. When we’re angry, we often label it “stress.” Often times, if you deal with the stress, you can deal with the anger. Some day-to-day stress is helpful in motivating ourselves, and is to be expected, but usually stress undermines us mentally, physically and emotionally when we haven’t dealt adequately with it. We often end up skipping meals, fail to attend to our daily tasks, forget to take care of ourselves, and don’t get enough sleep. On top of that, many guys deal with stress through alcohol consumption, which has a number of negative effects that aggravates stress and anger. If we can learn to deal with our own stress, we may help to alleviate some of the angry feelings that we are experiencing as a result. 3. Exploding on others won’t work. You’ll just end up alienating others from you when you explode in anger. Also, watch criticizing others, using sarcasm to get your point across, laughing at others, and other indirect forms of expressing anger, because these things will have the same effects in distancing other people from you. 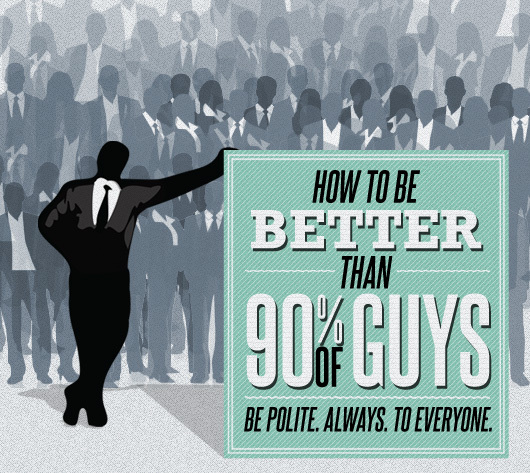 It’ll push people away, leave people angry with you, and put you in a more troubling situation. If you explode on others at work, it may end up costing you more than you expected. If you're continually exploding at your intimate relationship, you end up undermining the very person that you care about most. Check-in with yourself and ask yourself this question: what am I needing that I’m not getting–from this person, from the situation, from myself? It could be that the anger is coming from a delayed need gratification. If we can learn to figure out what it is that we need (sometimes it’s just food, other times it’s a need to be listened to or heard), we can communicate that more clearly to the people that can meet that need, instead of getting angry with them or the situation and pushing them away from us. 4. Get in touch with the physical sensation of anger. Usually, if we’re attentive, we can locate the feeling of anger in our bodies. If we allow the feelings to come up inside of ourselves (usually located in our chest/heart area or our stomachs) we can sit with the physical sensation of feeling angry and let it start to pass on its own. We continue to create more suffering the more we feed our anger with our thoughts, so if we can learn to sit with the actual, physical experience of anger, it usually ends up turning into something else, such as pain, sadness, or hurt. It may be more difficult to sit with these new emotions, but you can learn to train yourself to help those feelings pass in a shorter amount of time if you can pay attention to how anger manifests in your body in the present moment. 5. In relationship fighting, preserve yourself. Most men need some space when they are fighting with their intimate partner, such as their wife or girlfriend. It’s okay to take some time out and get the space that you need, so long as you communicate with your partner about it. Men need to distance themselves to be able to pick themselves back up, so know that this is okay. The problem comes in when she thinks that you are distancing yourself because you don’t love her, or don’t care, and other problems that come from that. Be sure to tell her that you need some space, and that you’ll come back in, say 30 minutes, to continue talking or working out whatever argument you were talking about. If you find yourself withdrawing or avoiding her totally, this becomes a problem that you might want to seek help for from a counselor. To help clear your mind and filter your anger try something new, such as yoga, tai chi, or sitting meditation. There are plenty of good books and CDs out there, and you can even find many of them for free at your local public library. There are plenty of classes out there too, so for all you single guys, sign up for one of these because this is where the women usually frequent. Women like guys who take care of themselves, and you’ll be sure do kill two birds with one stone by taking a yoga class, and working on your stress and anger at the same time. For some guys, hitting the gym is the perfect anger management technique. Some guys like to box, and other guys like to run it out, but take your own outlet and make it a part of your everyday lifestyle. I know some guys that like to journal, hike in the mountains by themselves, write songs, or even fill water balloons and throw them against a wall, but choose whatever it takes to help purge yourself of the anger, whatever that looks like that works for you. Usually this is really hard, because we make up all sorts of stories around being angry. We prevent ourselves from actually feeling angry, because we're too preoccupied with the “what does this all mean” thinking. We get afraid of our own anger, and make up stories about how we are (or not) an “angry guy”. Usually the stories that we make up around being angry prevent us from actually being angry. We usually have trouble, because we learned growing up that being angry was not okay, so we stop it, explode, turn into a nice guy that can't say no, whatever. The story lines that we make about being angry are not the same as actually being angry, so be aware of what you tell yourself when you get angry. 9. Deal with the shame. For most guys, shame overshadows anger, because for a lot of us growing up, anger was not able to be easily expressed in our childhood. Instead, we suffered shame, and this cripples our ability to deal with anger effectively. When we feel ashamed, we hide, and we turn inwards instead of dealing with our anger outwards. If you can deal with the shame, you may be able to deal with anger, too. Talk about it with someone you trust, like your partner, or seek out professional counseling to help you deal with the shame. Men universally struggle with the issue of anger, so know that there are plenty of men out there that are having a hard time with their anger, too. Try some of these strategies to help you deal with your anger when it takes hold. Create an effective anger prevention system in your life, and you’ll turnaround the anger that holds you back from optimizing the relationships, work life and peace of mind that you seek. As “the man the mental talk to,” Jason Fierstein, MA, LPC, is a Phoenix counselor and therapist for men and couples.The mission of his practice, Phoenix Men’s Counseling, is to help create great lives and relationships for guys. It’s Jason’s priority to promote good mental health, happy relationships and marriages, meaningful work and positive self-esteem for men through mindful living and increased personal awareness. 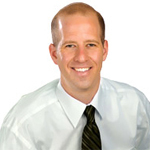 Visit him at his blog for more tips, strategies and advice at www.phoenixmenscounseling.com/blog. Just what I needed to read.. good article.!!! I use to well up my anger and unleash it to everyone i talk during the day. Some people get annoyed while some are just puzzled. Anyway, getting into a relationship has taught me a lot about communication and managing my anger. Thanks for reading the article. I’m glad to hear your relationship has taught you some things about how to communicate and manage your anger. You must have a good relationship! Best of luck to you, and take care.